This is a typical romance story with what you think is a bad boy next door or in this case down stairs. Joel has just moved to New Orleans to help his Uncle out and become the buildings maintenance manager. On his first day he arrives he meets the sext but stubborn Cameron who will not let him in the building since he does not have a key and she does not recognize him. The best thing about this book is that it is in both points of view and I especially enjoyed reading Joel’s point of view, just getting inside a male mind to understand what he is thinking and feeling and it wasn’t all just lust Joel had for Cameron either. Cameron lived a basic life worked all hours and on weekends with little or no social life, while Joel has an ex-wife that broke his heart and a cousin that decides to visit. Joel has tried to live the life of the bad boy image that his cousin Carlos helped create but Joel quickly finds out that Cameron is not interested in his bad boy image, or is she? Only reading the book will you find out. I found this book enjoyable and relaxing to read, it’s a great read for a weekend relaxation session or something to unwind to on the train on the way home from a busy stressful day at work. There is no really need to be stressing about the need to concentrate on the book it just flows and is easy to read. 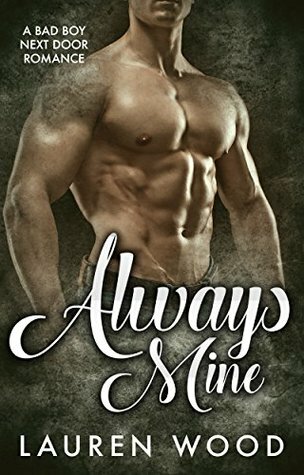 If you love a good romance with a touch of bad boys in it, then you are wanting something to spend a few hours relaxing and reading then this is the book for you, it’s a take anywhere kind of book, that deep down feel good kind of read. If you enjoy this one then check out the rest of the series.